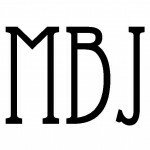 Last August I wrote a post comparing cited marketing sources from 2007-2010 for the J.C. Hart portfolio as a whole. The purpose of the post was to show off how our shifted marketing spend away from print has resulted in successes from reinvestment into our own websites and search engine optimization efforts. In the last couple years we have also reduced our ILS spend and allocated more of our marketing budget to our online efforts. In my previous post I included some partial data from 2011, but wanted to share where we ended up the year. In 2011 we continued to see print slip down. We used print on very limited number properties. The majority of those investments were from brand new lease-up communities in suburban Indianapolis. 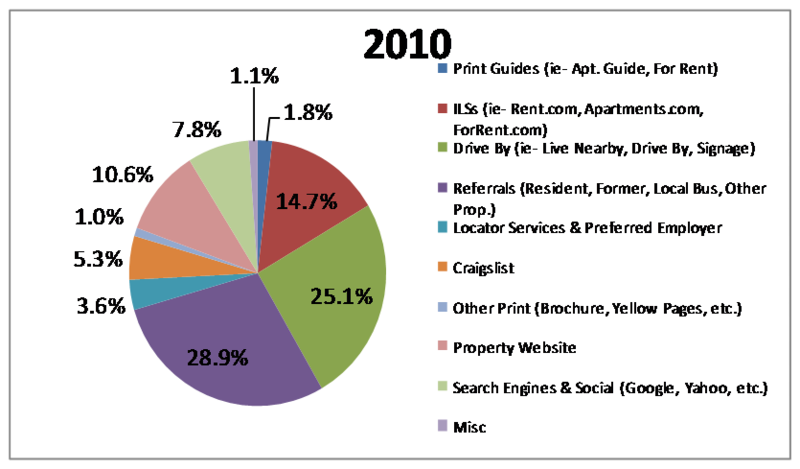 We actually had fewer leases attributed to the print guides in 2011 vs. 2010. This was very interesting as we completed construction and the lease up of 2 properties in 2011 and used print throughout the year for each property. In 2010 we did not use print through out the year for both communities but saw more success. It’s pretty clear that print’s no longer the source it once was, and this was just one more way to prove it to me. Throughout 2011 we were no longer listed with Rent.com. This was the only ILS we dropped in 2011 and we did get fewer leases cited overall from ILSs as a result. In 2010 we had 78 leases attributed to Rent.com, but in 2011 we only had 34 fewer leases attributed to ILSs as a whole. 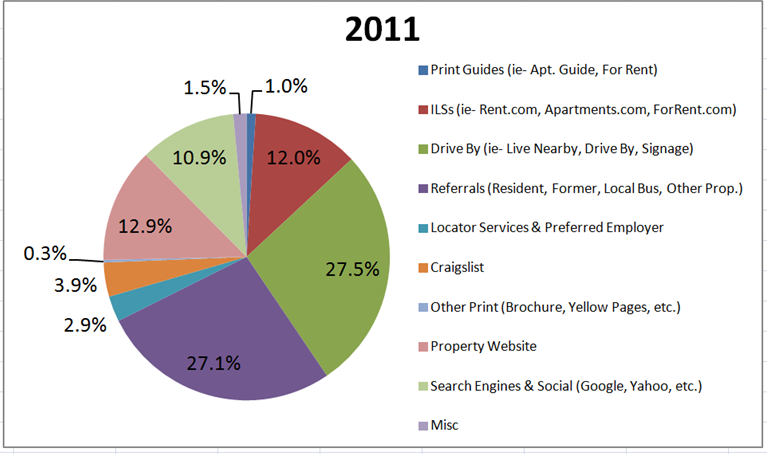 While most ILSs stayed flat, ForRent.com made the biggest jump attributing 32 more leases in 2011 vs. 2010. Our success with ForRent.com obviously helped make up for some of Rent.com, but I always thought we gave more credit to Rent.com than they deserved anyway. 🙂 Proof would be in that we still had a few people citing Rent.com in our system even though we weren’t on it in 2011. We did see an increase in drive-by in 2011. I do attribute this to the 2 new communities we built near high traffic areas and don’t want to read too much into that change, but it will be interesting to compare 2012 results to what we experienced in 2011. I was disappointed in our referrals and Craiglist efforts going a bit backwards compared to 2010. Has Craigslist lost its luster? They’ve definitely made it more difficult to post as frequently. That, and it seems that the space is more saturated than ever. I wonder if my prediction will finally come true and Craigslist will die. Time will tell. The pieces of the pie that have me the most jazzed are the property website and search engines/social referrals. These areas have more than made up for any losses in print or ILS, and have continued to grow year over year since we began to shift our investments in 2007. For the first time ever more move-ins were attributed to our property websites compared to ILSs. I’m super proud of that! Some final statistics I’ll leave you with. The data for these graphs above are based off actual move-ins. I always want to know what source is actually getting leases. Here are a sampling of closing ratios for key sources in 2011 as well. While general traffic is great, these numbers show me which sources are performing best.